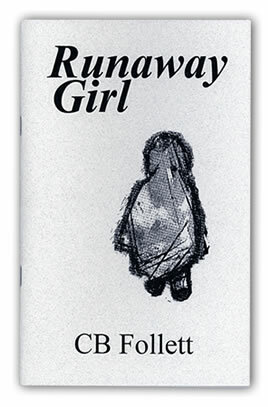 Runaway Girl won a prize in the 2007 Pudding House Press Chapbook competition. The girl in the poems left home at 18 and never looked back. My daughter has found her birth mother. Loss colored all her stables. in the mud. Again and Again. and I fall toward it. Poem by CB Follett from "Runaway Girl."